During a Napa tour, there are several wonderful spots to visit and activities to do. So planning may be a bit of a challenge for you. This can be true especially if it will be your first time, so we offer some ideas on ways to spend your holiday in the Napa Valley. Wine connoisseurs in particular will find Napa Valley to be a paradise. With over 300 wineries in the region that produce locally and internationally known wines, you’ll get lost in discovering the vineyards, the wineries, and the wine production as well as tasting and enjoying wines aged in deep caves and oak barrels. You won’t mind spending several days just to savor your old favorites and discover new ones. Wine tours in the Napa Valley aren’t restricted to the wines alone. If you are a certified food-tripper, the region is teeming with several top restaurants, cafes, wine bars, and delis. You may not want to miss the food and wine festivals where the region celebrates the fresh, seasonal bounties, along with the best California wines. Napa Valley doesn’t lack entertainment if that is where your interests lie. You can go dancing and socializing at top nightclub spots in Calistoga or catching a live concert in downtown Napa. For those who are more adventurous, you can rent a car or a bike, and go around the vineyards by yourself or with a professional guide. For nature lovers, hit the beautiful hiking trails and camp out. You can also indulge in swimming and other water sports in Lake Berryessa. If you don’t want to bother driving, check out the various bus or limo tours that offer guided tours of the wine country. There, you will get to see the popular wineries as well as the many sightseeing spots and other famed points of interest. You can also go aboard one of the meticulously-restored vintage trains (or rail cars). These beautiful trains also function as a moving restaurant where you can dine on excellent seasonal menus while enjoying sightseeing the vineyards outside. If you think these activities are all that’s available in the Napa Valley, there’s something more that you shouldn’t forget: a hot air balloon ride! Whether it will be your first time or you have done them in the past, hot air balloon rides are always a fun and novel experience. Hot air balloon rides give tourists an experience like no other. You may have seen the beauty of the valley but a sunrise hot air balloon ride will enable you to view the landscape as one huge real-life painting. You can enjoy the various shades of green as you watch the neat rows of grapevines, trees, shrubs, and grasses pass below you if you visit during the summer. Autumn visitors will see the warm colors of red, gold, yellow, and orange. Brilliant yellows and emerald greens can be enjoyed during winter and spring. When you plan to include hot air balloon rides in your Napa tour, choose the pioneer in this field: Balloons Above the Valley (BATV). 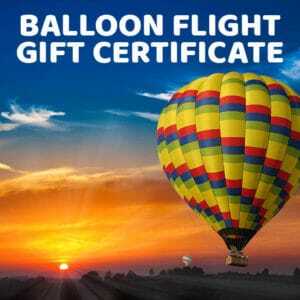 BATV has worked hard for over 35 years to build our reputation as one of the best and safest providers of hot air balloon flights to tourists in Napa Valley. 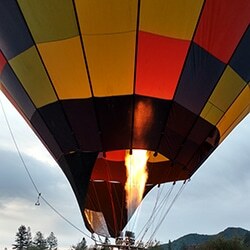 When you next plan a Napa tour, be sure not to forget the hot air balloon ride! It will surely be an exhilarating and unique experience that you won’t forget. Balloons Above the Valley stands out among the rest for providing premium-quality hot air balloon riding experiences for over three decades.